Kern, Hermann (2000). Through the Labyrinth. Designs and Meanings over 5,000 Years. New York, Prestel. “Translated into English, this visually gripping and wide-ranging interdisciplinary study… Kern’s text remains largely unaltered, but a series of addenda written by two leading scholars in the field, Robert Ferré and Jeff Saward, acquaint readers with the latest developments in labyrinth research. 360 pages with 732 black-and-white and 17 color illustrations.” Publisher. Artress, Lauren (1995). Walking a Sacred Path: Rediscovering the Labyrinth as a Spiritual Tool. New York, Riverhead Books. This book, as well as the author’s continuing work subsequent to its publication, created significant impetus in the contemporary revival of the labyrinth. 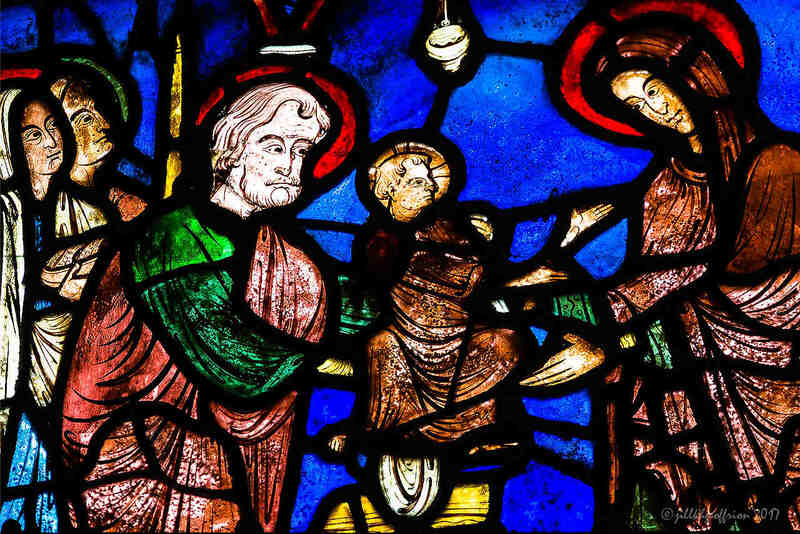 Dr. Artress’ interest focuses on the medieval 11-circuit design found at Chartres Cathedral in France. Explores the historical origins of this divine imprint and shares the discoveries of modern-day seekers. TLS Website. Artress, Lauren (2006). The Sacred Path Companion: A Guide to Walking the Labyrinth to Heal and Transform. New York, Riverhead Books. “In this comprehensive and interactive workbook, Lauren Artress, a guiding force of the Labyrinth movement and the author of Walking a Sacred Path, offers readers indispensable techniques for personal reflection and transformation.” Publisher. Bolen, Jean Shinoda (1994). Quickening: Chartres Cathedral. Crossing to Avalon. A Woman’s Midlife Pilgrimage. San Francisco, HarperSanFrancisco: 22-32. 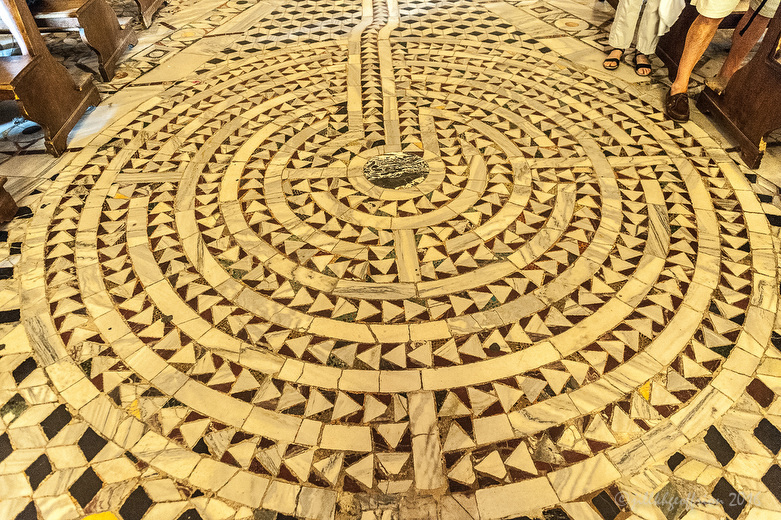 The author recounts her experience of being a pilgrim in the Chartres cathedral paying special attention to the labyrinth, energy currents and various kinds of knowing. Buchanan, J. (2007). Labyrinths for the Spirit. How To Create Your Own Labyrinths for Meditation and Enlightenment. London, Gaiabooks. “Embraced by many cultures, labyrinths can connect humans with nature and the spirit, becoming a metaphor for humankind’s relationship with the earth. This fascinating books shows you how to use the labyrinth as part of personal meditative practice and gives twenty practical design experiences guiding you creating your own unique versions.” Publisher. Camp, Carole A. “Making Your Own Labyrinth.” In Labyrinths from the Outside In, 153-65. Woodstock, VT: Skylight Paths Publishing, 2000. Includes basic questions to ask before making a labyrinth and instructions for constructing a 7 circuit labyrinth. Caselli, Giovanni (1999). In Search of Knossis. The Quest for the Minotaur’s Labyrinth. New York, Peter Bedrick Books. A children’s book which explains the search for Knossis and a little about the myth of the labyrinth there. Champion, Alex Earth Mazes. Philo, CA. “Illustrating some of the work of Alex Champion. …is an inspiration to anyone wanting to build one-of-a-kind permanent labyrinths as creative works of art.” Robert Ferré. Champion, Alex B. (1999). Essays on Labyrinths and Other Geometric Symbols. Philo, CA, Earth Maze Publishing. Includes an introduction, A Labyrinth is a Kind of Maze, The Chartresfication of the Cretan, The Nature of 032147658, The Mysteries of Labyrinths, Parts 1 &2, and Proposed Symbols for Matter and Energy, Space and Time, and a Curious Maze Dowsing Study. Curry, Helen (2000). The Way of the Labyrinth. A Powerful Meditation for Everyday Life. New York, Penguin Compass. “…helps both novice and experienced readers reap the benefits of labyrinth meditation, from problem solving to stress reduction to personal transformation.” Publisher. Conty, Patrick. The Genesis and Geometry of the Labyrinth. Architecture, Hidden Language, Myths, and Rituals. Rochester, Vermont: Inner Traditions, 2002. “…shows how the geometry of the labyrinth exists in countless cultures spanning the globe from Africa and ancient Greece to pre-Columbian North and South America.” Publisher. Doob, Penelope Reed. The Idea of the Labyrinth from Classical Antiquity through the Middle Ages. Ithica, NY: Cornell University Press, 1990. “A very scholarly work, this book covers not just physical labyrinths but the symbolism of labyrinths in literature, especially Boethius, Chaucer, and Dante.” Robert Ferré. Ferré, Robert (1996). The Labyrinth Revival. St. Louis, MO, One Way Press. “What has led to the resurgence of interest in and appreciation for labyrinths? What exactly is a labyrinth? What are its modern uses? This booklet…addresses these questions, giving a broad overview of the labyrinth revival.” One Way Press. Ferré, Robert (1996). Constructing Labyrinths. St. Louis, MO, One Way Press. This booklet is divided into five sections: types of labyrinths, permanent outdoor labyrinths, permanent indoor labyrinths, temporary labyrinths, and fabric labyrinths. “This is an idea book, not a technical manual. I discuss what kinds of materials may be used, but not how to do it.” Author. Ferré, Robert (1997). How to Make a Masking Tape Labyrinth. St. Louis, MO, One Way Press. “This booklet covers both the Chartres-pattern labyrinth and the classic 7 circuit labyrinth, in the left-handed versions, which means the first turn is to the left. The labyrinths will be irregular and rustic in appearance, which is part of their charm. I think you will find when you are finished, you will be impressed by the work of art you have created.” Author. Ferré, Robert (2001). Church Labyrinths. Questions and Answers Regarding the History, Relevance, and Use of Labyrinths in Churches. St. Louis, MO, One Way Press. Question and Answer format addressing issues relating to the history and modern use of labyrinths with emphasis given to the Christian context. Ferré, Robert (2001). Constructing the Chartres Labyrinth. An Instruction Manual. St. Louis, MO, One Way Press. A clear, concise how to manual. Ferré, Robert (2001). Origin, Symbolism, and Design of the Chartres Labyrinth. St. Louis, One Way Press. “The purpose of this book is to give the reader a greater depth of understanding about the Chartres labyrinth.” Author. Ferré, Robert (2002). The Labyrinth Idea Book. Making Labyrinths from Many Materials. St. Louis, MO, One Way Press. Includes patterns, ideas, lots of pictures and helpful hints for those interested in constructing labyrinths. Ferré, Robert (2002). Constructing Classical Labyrinths. An Instruction Manual. St. Louis, MO., One Way Press. Chapters include: The Seed Pattern, Geometry; The Five Stake Method; Ariadne’s Thread; and General Principles. Field, Robert (1999). Mazes. Ancient and Modern. Norfolk, England, Tarquin Publications. Chapters: Introducing the Labyrinth; Turf and Stone Designs, Labyrinths from Roman Mosaic Floors, Christian Pathways, Hedge Mazes and Modern Developments. Very helpful, clear, concise book. Helpful for anyone making a pilgrimage to English labyrinths. Geoffrion, Jill Kimberly Hartwell (1999). Praying the Labyrinth: A Journal for Spiritual Creativity. Cleveland, OH, Pilgrim Press. Based on Jill’s experiences of praying the labyrinth in Chartres Cathedral, this book invites the reader to explore her/his own spiritual experiences both on and off the labyrinth. Geoffrion, Jill Kimberly Hartwell (2000). Living the Labyrinth: 101 Paths to a Deeper Connection with the Sacred. Cleveland, OH, Pilgrim Press. This book encourages readers to expand the ways in which they explore the labyrinth. Full of helpful ideas for individual and group use of the labyrinth. Geoffrion, Jill Kimberly Hartwell and Elizabeth Catherine Nagel (2001). The Labyrinth and the Enneagram. Circling into Prayer. Cleveland, OH, Pilgrim Press. Readers are given an orientation to the enneagram and an explanation of its nine positions, as well as exercises on the labyrinth to identify barriers within. From these experiences, readers will enjoy the transformation that arises from new learning and insight. Space for journaling and reflection is provided with each experience. Geoffrion, Jill (2003). Labyrinth and Song of Songs. Cleveland, Pilgrim Press. Labyrinth and Song of Songs lays side by side the author’s poetry, prayers and hymns which were inspired by the labyrinth and the Hebrew Scriptures love poem “Song of Songs.” Written in the voices of Lover, Beloved and Friends, both works are personal, provocative, and invitational. Delight, longing, and love rise up to greet the reader. Geoffrion, Jill (2003). Pondering the Labyrinth: Questions to Pray on the Path. Cleveland, Pilgrim Press. This book was written in response to expressed needs for resources that could be used at a labyrinth. Divided into four sections, About Labyrinths, Questions to Ponder As You Experience the Labyrinth, Questions to Ponder Away from the Labyrinth, and Questions to Ponder for Special Reasons, this book is highly accessible. Those encountering the labyrinth for the first time will find their questions answered while those who have been using the labyrinth will discover new approaches to their labyrinth experiences. Geoffrion, Jill. Christian Prayer and Labyrinths: Pathways of Faith, Hope, and Love. Cleveland, OH: Pilgrim Press, 2004.
book designed specifically for Christians who would like to use the labyrinth for personal meditation or communal Christian worship. She begins with a brief summary of the Christian history of labyrinths, and from there, offers both Hebrew and Christian Scripture texts with a question and prayer connected to each Scripture. There is also a section on experiencing Christ in the labyrinth that contains prayers and poems. Several line drawings of labyrinths and journal sheets are included. Geoffrion, Jill. Praying the Chartres Labyrinth: A Pilgrim’s Guidebook. Cleveland, OH: Pilgrim Press, 2006. “Labyrinth lovers will find themselves transported to France, and those lucky enough to have made the pilgrimage will be grateful for Geoffrion’s insightful reminders of their journey.” Judith Tripp. Goode-Harris, Lea. What Matters to the Heart: Exploring the Psychological Significance of the Labyrinth. Psychology. California: Institute of Imaginal Studies: 262, 2001. “The purpose of this qualitative research was to explore the psychological significance of the labyrinth, especially in regard to the relevance of the life-long process of individuation with particular attention to the transitional period of adolescence. Hancock, G. D. (2004). 108 Ways to Use Labyrinths in Schools. Thundersly, Essex, England, Labyrinthos. Haskolski, Helmut. The Labyrinth. Symbol of Fear, Rebirth and Liberation. Translated by Michael H. Kohn. Boston: Shambhala, 1997. “Taking an approach both reflective and playful, Helmut Jaskolski traces our fascination with this ambiguous ancient motif and shows, through stories ranging from myths and medieval tales to labyrinthine fiction of Umberto Eco, that the labyrinth is a living symbol for our time.” Shambhala. Kallstrom, Christine (2001). Children and the Labyrinth. Liturgical and Non-liturgical Uses. Grand Prairie, TX, Alternative Learning Environments, Inc.
Kidd, Sue Monk (1996). A Guiding Feminine Myth. The Dance of the Dissident Daughter. San Francisco, Harper San Francisco: 107-130. This section explores how various myths related to labyrinths relate to contemporary women’s spiritualities. Larson, Marilyn and Leslie Schultz (2000). Labyrinths 2001. Northfield, MN, Chronos Unlimited. “Combining the compelling, various and timeless beauty of the labyrinth form with information on dates, holidays, and phases of the Moon, and with space for personal questions and discoveries, Labyrinths 2001 offers a new calendar form for a new millennium.” Publisher. Larson, Marilyn and Leslie Schultz (2001). A Pocket Guide to Labyrinths. Northfield, MN, Chronos Unlimited. This small books has various labyrinth patterns, brief descriptions and useful questions to consider with labyrinth use. Lonegren, Sig (1996). Labyrinths. Ancient Myths and Modern Uses. Glastonbury, Gothic Image Publications. “…takes a refreshing new look at the ancient and mythic past of this universal symbol and uncovers its potential practical uses today.” Gothic Images Publications. MacQueen, G. (2005). The Spirituality of Mazes and Labyrinth. Kelowma, Canada, Northstone. “Learn the origins of, and the differences between, the labyrinth and the maze, from the simplist forms to the most complex, as you walk through this book.” Publisher. Martineau, John (1999). Mazes and Labyrinths in Great Britain. Powys, Wales, Wooden Books, LTD.
“Mazes and Labyrinths occur all over the world and may be said to be one of those groups of pattern which are universal and not limited to any one culture or tradition. This small book serves both as an introduction to a fascinating subject and as a guide to some of the many examples of these forms that can be found in the British Isles.” Publisher. MacQueen, Gailand. The Spirituality of Mazes and Labyrinth. Kelowma, Canada: Northstone, 2005. McCullough, David Willis. The Unending Mystery: A Journey Through Labyrinths and Mazes. New York: Pantheon Books, 2004. Media, Janson. Chartres Cathedral. A Sacred Geometry: Golden Age Productions, 2003. “…documentary film explores one of the most beautiful and mysterious cathedrals in the world, the famous Chartres Cathedral in France.” Publisher. Monk, Kem (2000). The Path to Health Emotions: The Labyrinth & The Grain of Sand Principle. Kinesthetic Exercises for the Classroom. Glasser, NJ, Kem Monk. A book of various exercises that can be used with groups and the labyrinth. Muller, Marnie H. (2000). The Classical Seven-Circuit Labyrinth as Transcultural Phenomenon, Self-Published Master’s Thesis. Chapters: Cosmology; Scandinavia, Crete and the Wider Mediterranean, As Dance Diagram, Prehistoric Imagery, As Protective Field Pattern, Image of Contemplation. Rossetta, Lani (2001). Labyrinth for Kids. Central Point, Oregon, Leihuna Enterprises. “A book for educators or physical or occupational therapists. It explores the construction and use of labyrinths as a tool for increasing fine motor skills in the classroom setting. Patterns for drawing two and three-dimensional labyrinths, both desktop size and outdoor size for walking on, as well as dozens of activity ideas for making this an exciting project for children, are included. Can be integrated into any curriculum. Helps balance left and right hemispheres of the brain.” Editor. Rosetta, L. (2002). Let’s Have a Labyrinth Party: A Handbook Full of Ideas for Celebrations Using Labyrinths. Central Point, Oregon, Leihuna Enterprises. A book of labyrinth ideas and photographs. JKHG. Sands, Helen Raphael (2001). The Healing Labyrinth. Finding Your Path to Inner Peace. New York, Barrons. Saward, Jeff (1997). Ancient Labyrinths of the World. Thundersley, England, Caerdroia. “This introductory history of labyrinth by Jeff Saward, editor of Caerdroia–the journal of mazes and labyrinths, will help guide you along the way.” Caerdroia. Saward, Jeff (2002). Magical Paths: Labyrinths and Mazes in the 21rst Century. London, Mitchell Beazley. Stunning photographs, together with paintings and prints, show the diversity and complexity of mazes and labyrinths, and provide inspiration and practical ideas for gardeners, artists, and anyone interested in meditation and spirituality.” Publisher. Saward, Jeff. Labyrinths and Mazes of the World. New York: Lark Books, 2003. “Investigate the extraordinary story of labyrinths and mazes, found around the world in an amazing variety of forms, many of which are still flourishing today. Trace how the labyrinth started with a simple design–a series of concentric lines, carefully connecte–unchanged for thousands of years and appearing in surprising locations. Find out how it then takes many shares and is constructed in a range of materials in different cultures and periods of time, and in places as diverse as Brazil, Mexico, and the American Southwest, across Europe, in Iceland, and in Africa, India, and Indonesia. the labyrinth’s development into the familiar puzzle mazes that are found in parks and gardens is only one of the twists you’ll uncover in this fascinating tale.” Publisher. Saward, Kimberly Lowelle. Ariadne’s Thread. Thundersley, England: Labyrinthos, 2003. A booklet which explores various labyrinth stories and mythology throughout time and the world. JKHG. Schaper, Donna and Carole Ann Camp (2000). Labyrinths from the Outside In. Woodstock, VT, Skylight Paths Publishing. “Here is your entry to the fascinating history and philosophy of the labyrinth walk, with directions for making a labyrinth of your own, or finding one in your area, and guidance on ways to use labyrinths creatively for: prayer, stress reduction, faith rituals, commemorating personal or family milestones, meditation, celebrations of all kinds.” Publisher. Shannon, Maggie Oman (2001). The Way We Pray. Prayer Practices from Around the World. Berkley, CA, Conari Press. “…celebrates fifty diverse prayer practices from around the world, creating the perfect resource for your own spiritual exploration. Among the practices described in the book are walking the labyrinth… Publisher. Shields, Carol. Larry’s Party. New York: Viking, 1997. “Larry Weller, born in 1950, is an ordinary guy made extraordinary by his creator’s perception, irony, and tenderness. Larry’s Party gives us, as it were, a CAT scan of his life, in episodes between 1977 and 1997, which flash back and forward seamlessly. As Larry journeys toward the millennium, adapting to society’s changing expectations of men, Shields’s elegant prose make the trivial into the momentous. We follow this young floral designer through two marriages and divorces, his interactions with parents, friends, and a son. And all the while, we witness his deepening passion for garden mazes is so like life, with their teasing treachery and promise of reward. Among all the paradoxes and acidents of his existence, Larry survives the spontaneity of the seventies, the blind enchantment of the eighties and the lean, mean nineties, completing at last his quiet, stubborn search for self.” Viking. Stevenson, Jo Ann and Cathy Anderson. Mystery Stories from the Labyrinth: The Circle in the Square. Toronto, Canada: Self-Published, 2002.
stories, snippets, poems and reflections on labyrinth experience. Compiled by the authors. JKHG. Streep, Peg (1999). The Labyrinth Garden. Spiritual Gardening: Creating Sacred Space Outdoors. Alexandria, VA, Time Life Books: 156-163. Villette, Jean (1995). The Enigma of the Labyrinth. St. Louis, MO, One Way Press. “This scholarly article appeared in a journal about Chartres Cathedral, published [in French] in 1982.” Robert Ferré. West, Melissa Gayle (2000). Exploring the Labyrinth. A Guide for Healing and Spiritual Growth. NY, Broadway Books. What is a labyrinth and why does it have such astonishing contemporary appeal? Discover specific ways to use the labyrinth for rituals, meaningful celebrations, spiritual growth, healing work, creativity enhancement, and goal setting.” Publisher. Westbury, Virginia (2001). Labyrinths. Ancient Paths of Wisdom and Peace. Sydney, Australia, Lasdowne Publishing Pty Ltd.
“…first global account of the modern labyrinth movement, including a guide to where the world’s finest models can be found. She also provides a comprehensive account of labyrinth history and an intriguing look at the modern phenomenon of interest in the labyrinth.” Publisher. Wright, Craig (2001). The Maze and the Warrior. Symbols in Architecture, Theology, and Music. Cambridge, MA, Harvard University Press. “…At virtually every turn the reader finds information of considerable interest not only for music historians but also for art historians, liturgists, church historians, and even the modern social historian. Wright makes the traversal of his maze a particularly enjoyable and illuminating experience.” Alejandro Enrique Planchart, University of California, Santa Barbara.